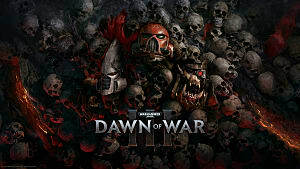 We've had our eye on Dawn Of War III for some time now, impatiently waiting for a new RTS experience in the Warhammer 40,000 universe. With its official release less than a month away, we got on the weekend beta and played a whole mess of matches to let you know what to expect. 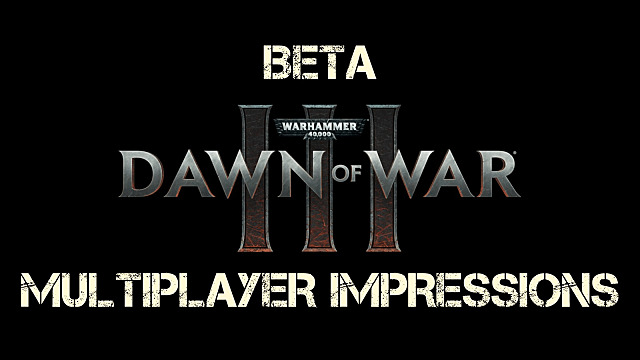 Sadly, this beta didn't include single player, which is actually what I was personally most interested in trying out. 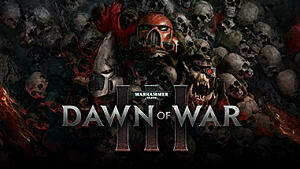 So although fans have been waiting more than a decade to discover what happened to these characters after the end of the first Dawn Of War, as the expansions and subsequent sequel ignored them entirely in favor of other theaters of combat, they'll have to wait just a bit longer to find out what's actually going on. Blood Ravens' Captain Gabriel Angelos Returns! 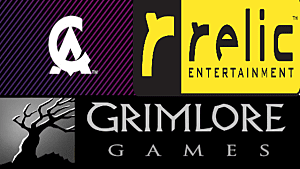 Although multiplayer isn't usually my go-to gaming style (other than perhaps Horde mode in Gears Of War or a couple of quick Doom rounds), the matches here were a blast. They take up a decent chunk of time, so you're invested but you're also not playing a single match forever -- and importantly, each match has actual strategic elements to decide so that even a team that's losing can gain the upper hand. Although you can do 1 vs 1, 2 vs 2, and 3 vs 3, there's actually only one single match type at the moment, where the objective is to destroy the enemy team's Core. That's clearly going to be a downside for some who want more options, but with all the different Elite loadouts and maps available, the lack of specific match type options at launch isn't nearly as big a negative as you'd think. 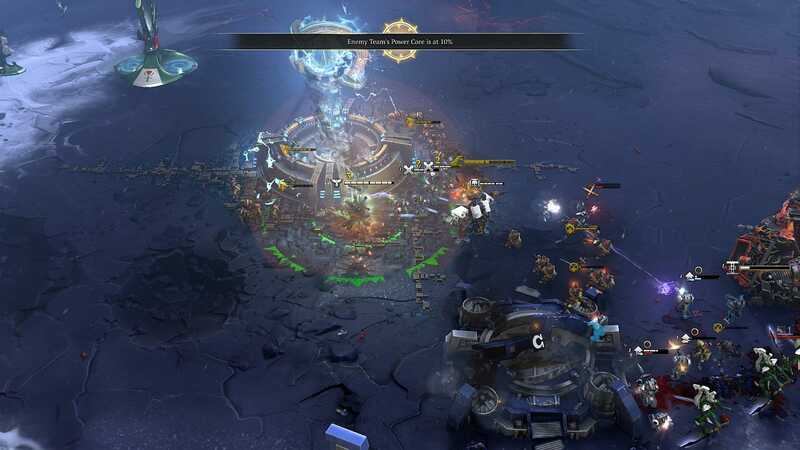 There's been lots of talk across the Web of MOBA elements infecting the game since the first gameplay videos were released, but in practice, it really doesn't feel that way. There are “lanes” of sorts, but not really any more so than any other 2 vs 2 or 3 vs 3 RTS map. Three specific structures must be destroyed in order to win the match, but the progression feels natural since you'd be moving that direction to take strategic points anyway. Honestly, the only thing that feels drastically different from the first game's multiplayer mode is the focus on taking out the Core without always destroying the surrounding base buildings first. If taking losses means capturing the Core, then sacrifice those units! Giving players a reason to keep diving into matches, Relic has added in a sort of ranking system where you can upgrade your Elites by leveling them in matches, as well as earning new Doctrines to apply to units for future battles. 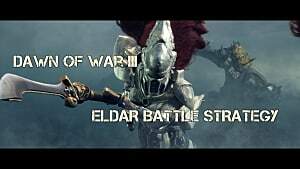 The biggest changes to the formula are in the super weapons, Elite soldiers, and some differing strategy on where to position your troops while using the battlefield. The new apocalyptic super weapons each race gets are simply a pleasure, chewing through basic units in a very satisfying ways. 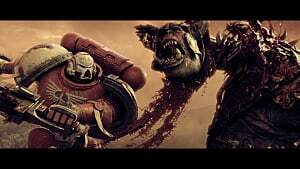 The orbital bombardment used on the Space Marine side is like the hammer of dawn from Gears Of War, but much wider. Obviously these can't be deployed immediately and also have a long cool down timer, so deploying them at the right moment is key. Plenty of players are going to utilize their super weapon to turn the tide of holding a strategic point or keeping their base safe when low on troops, but the real fun is to be had if you wait until closer to the end game to deploy. You can instill absolute despair in your opponent when you've reached their Core with a threadbare force that seems certain to be repelled. Then, out of nowhere, you then call down hell from the sky and wipe out the enemy defenses while your opponent scrambles to produce more units or summon an Elite in enough time to keep the Core alive. It's a thing of beauty. Throughout the beta, I noticed a recurring trend while looking at the post-battle reports: in matches where I won, the opposing players typically had more kills overall, but spent less requisition than I did. My guess is that I put more requisition into upgrades and focused on always calling down new units before my current wave of soldiers was dead -- meaning I was never without a force ready to surge forward. Winning is less about building a sprawling base or taking all the strategic points, and more about time and resource management. 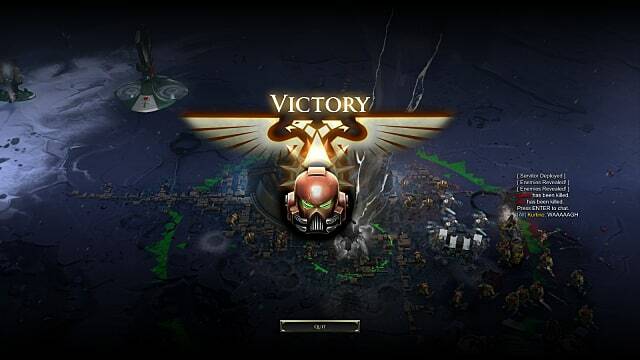 Winning teams make efficient use of the new buttons at the bottom of the screen to quickly upgrade and recruit new soldiers without actually clicking and dragging back to their bases. While this is probably true of any RTS, keeping units in multiple queues for better battlefield positioning is now a must due to some changes in gameplay. Ranged and melee units have drastically different purposes and can counter each other in various ways. Keeping devastating ranged units locked up with cannon fodder in melee is an elegant tactic, but now there's also ranged cover points that keep ranged units shielded unless you send in specific counter units, or waste a lot of time destroying their cover. 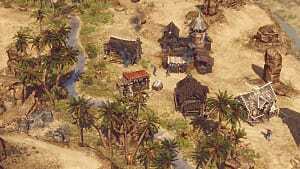 In another change savvy players need to make use of, there are now sections of the map that provide stealth without you needing to actually recruit a stealth-focused unit. Leaving a small force here to wait can be an excellent strategy for keeping the enemy away from key listening posts or for ambushing when an army is on the way to your Turret or Core. In a final new strategic twist, a player bound for victory will make efficient use of Doctrines selected before battle. 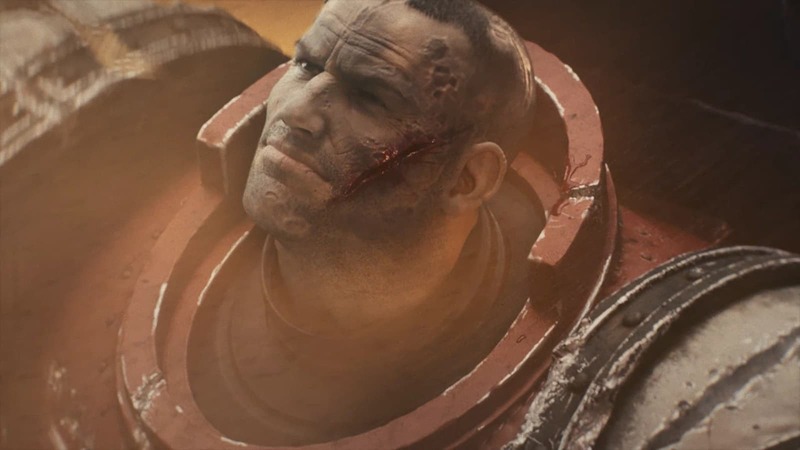 Even the first basic Doctrine that Gabriel gets, titled Inspiring Drop, can totally change a skirmish that is on the verge of being lost by healing nearby units when he drops. 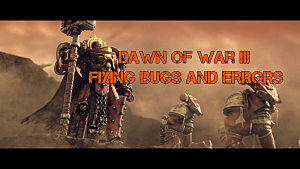 If you save your Elite deployment for when most needed, it completely turns the tide of individual combats, and works much better than simply calling in the Elite as soon as they are available. 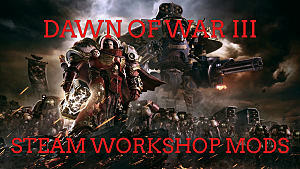 Smile in the face of death, knowing you served the Emperor! 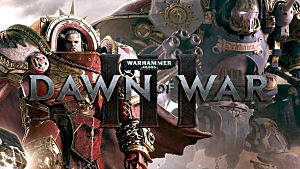 What do you think of the changes in this latest Dawn Of War iteration, and for those who were in on the beta, what's your favorite faction and strategy to utilize?